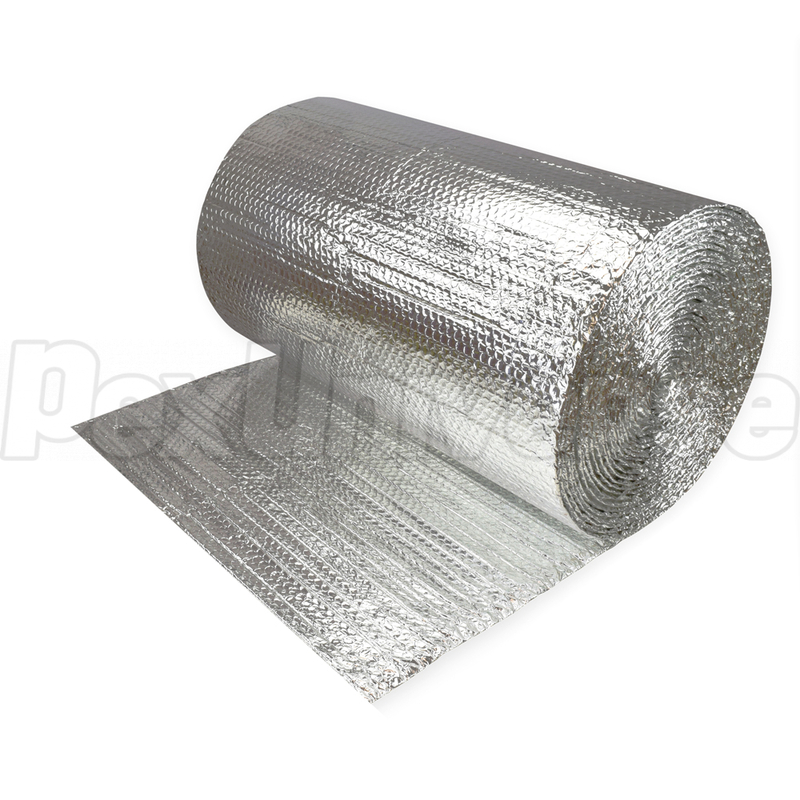 24" wide x 50ft long (125 sqft total) roll or reflective bubble insulation by rFoil. 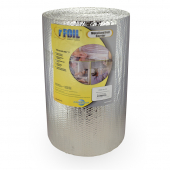 Designed for installation between the 24" OC (On Center) joists, this insulation offers excellent R-value, provides a water vapor barrier and is overall a much healthier alternative to fiberglass insulation. 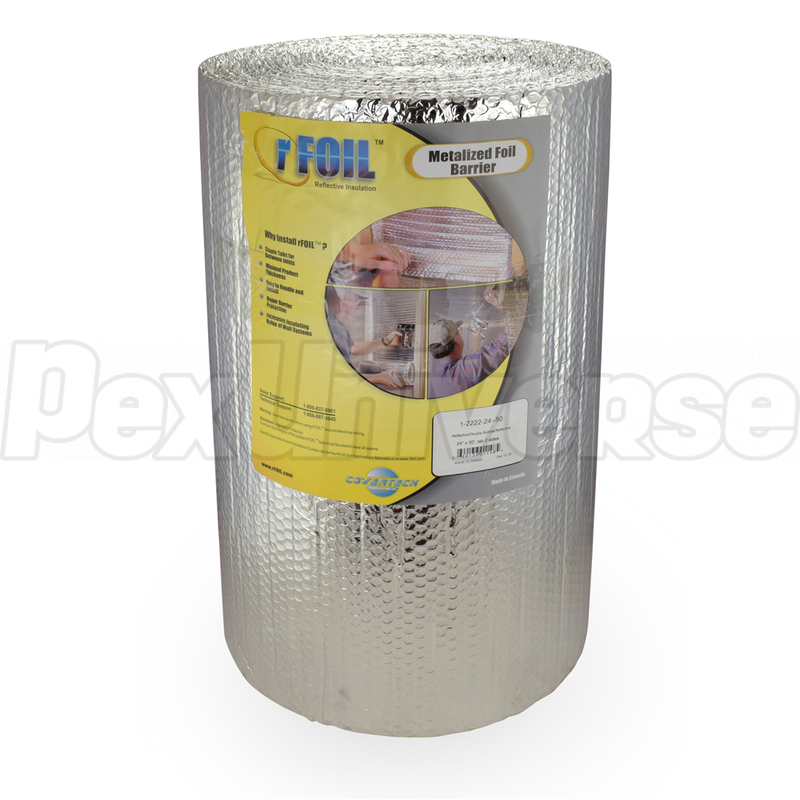 It is Class A/1 fire-rated and is suitable for projects with or without PEX radiant heat (where PEX tubing is stapled to the bottom of the subfloor/plywood). Insulation has 1" side tabs which make stapling easier. For optimal performance, use with rFoil 2" wide metalized tape #15012 or similar. 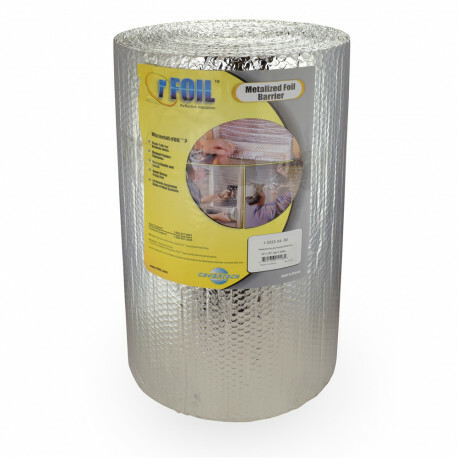 No fiberglass particles in the air, no mess.